Wendy began her career at Sun Grove in 1986. She started out as the Director of the lunch program before working as a Primary Assistant and eventually receiving her Montessori Training to work as a Primary Montessori Directress. 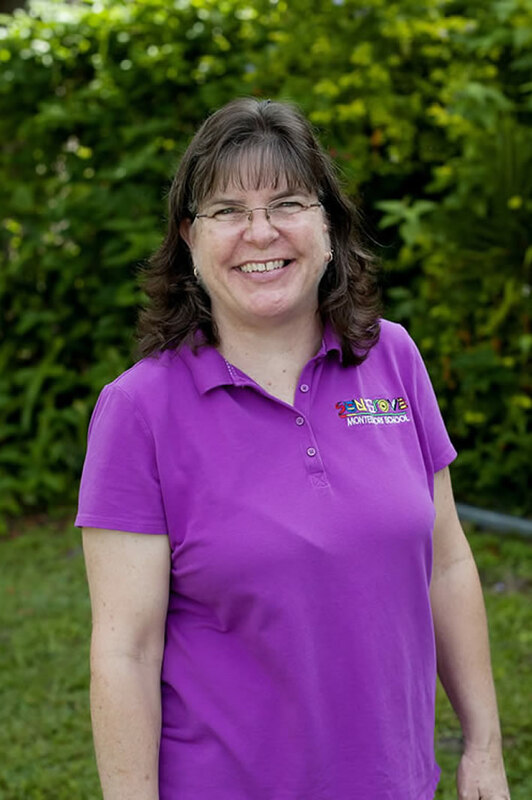 Wendy holds a Palm Beach Community College Early Childhood Credential and brings a wealth of experience to her students and families and to the school.